According to statistic from the National Traffic Highway Safety Administration, there were 9,944 speeding-related fatalities recorded in 2011. 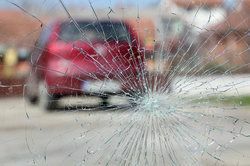 This accounts for 31 percent of all auto accidents fatalities, which reveals just how serious this particular action is. We at the Law Offices of Edward Deason in Torrance acknowledge this, which is why we offer skilled litigation for car accidents and motor vehicle collisions. Let's explore the seriousness of speeding right now. Speed limits are in place to ensure the proper flow of traffic and the safety of any and all motorists on the road. They are also in place to protect bicyclists and pedestrians. These speed limits are particularly important on city streets and in streets near schools. In essence, speed limits are just plain common sense. When a person drives in excess of the speed limit, it places other motorists in the area at risk. For one, a speeding driver makes other drivers need to react to them. Speeding drivers are also more prone to engaging in risky or reckless behaviors, like weaving and cutting others off. There's also the issue of reaction times and overreactions. Other drivers may need to swerve to avoid collisions, putting other motorists abiding by the law at risk. The speeder himself or herself (note: statistics reveal that men are more prone to speeding than women) may not be as attentive to others on road, meaning the speeder may cause some form of collision as a result. When a person speeds on a city street or in school zone, the bicyclists and people crossing the street are more likely to be injured. At greater speeds, the ability to swerve and avoid individuals and objects is reduced, meaning that a collision with a pedestrian or a bicyclist is more likely to occur, and should one occur, the injuries will be more severe given the added velocity. If you or someone that you love has been involved in an auto accident that resulted in a serious injury or accident, it is of the utmost importance that you speak with a member of our legal team. The attorneys at the Law Offices of Edward Deason will fight diligently to ensure that you receive just compensation for any injuries experienced or losses that have been sustained. In the event of the death of a loved on due to a speeding motorist, we will fight to ensure that you receive compensation for any funerary costs as well as the pain and suffering associated with the death of a loved one. While this compensation will not bring your family member back, it will help with grieving and healing. If you would like to learn more about your legal options following a serious auto accident, be sure to contact our personal injury lawyers today. At the Law Offices of Edward Deason, you will receive strong counsel and be able to achieve peace of mind.